The warmth of summertime, the gentle hum of cicadas, a glass of sweet tea and the sway of a porch swing. There is just something about that slow, Southern way that instantly soothes you. 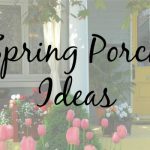 You can wile away hours just gazing into the distance, reading a book, or enjoying a long conversation with your favorite people on the porch. Life on a porch is reminiscent of a simpler time. 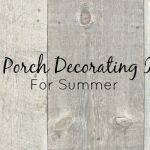 In fact, American culture revolved around the front porch for many years before we started to migrate to the backyard. 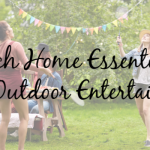 We’d love to bring that slow, outdoor life back. The Bed Swing is more a bed than a swing, yet the gentle, rocking motion creates your own island. Let’s celebrate a few of our favorite bed swings in today’s post. 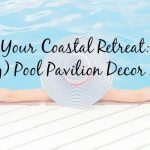 Larger than a traditional porch swing, most are usually the dimensions of a twin size mattress, although there have been a variety of sizes, depending on the layout of the porch. While some modern interpretations offer armless versions, most are enclosed on 3 of the 4 sides and have rope, chain or steel rods to affix to the ceiling. 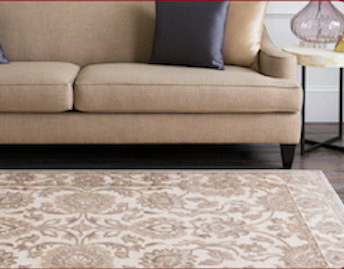 The Creekside is handmade and hand finished by artisans in the Carolinas low country. 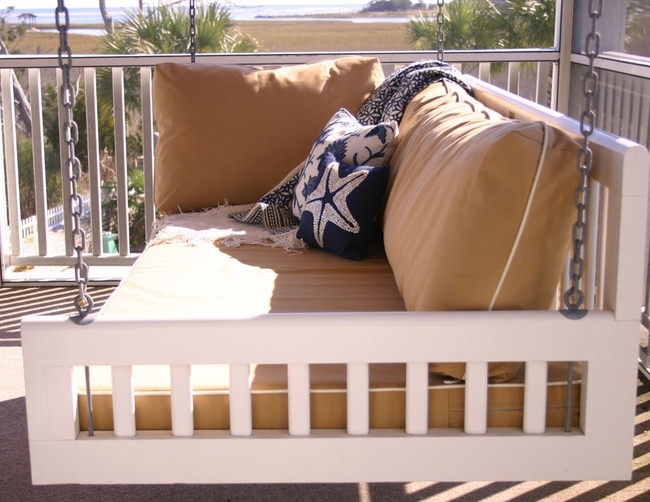 Clean lines and a barnwood finish make this an appealing bed swing for your coastal retreat — indoors or out. Made of #1 yellow pine dry treated will stand the test of time. It can be hung inside or outside and takes a standard twin mattress. 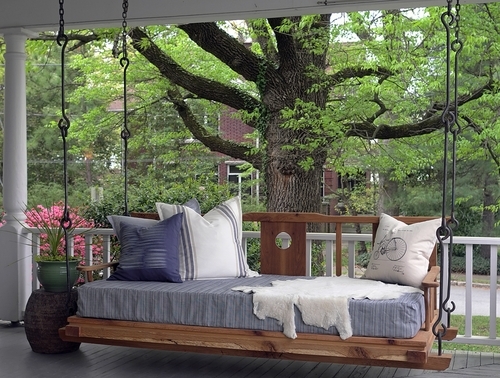 The Double Happiness Hanging Porch Bed is beautifully made of sand-blasted white oak. We love this custom piece, as it’s made to order in North Carolina. This piece fits a standard twin mattress and looks right at home with your traditional style porch furniture. 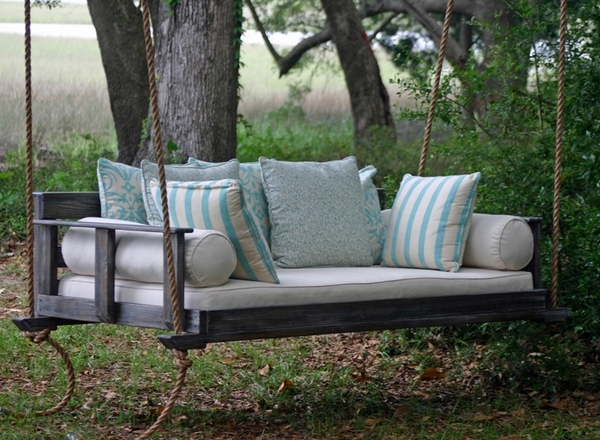 Our Cottage Bedswing is a truly customizable piece. With options in natural, white, black cypress or clear coat mahogany (or choose your own Sherwin Williams color). Fabric Options that all come with white piping or you may select and send us your choice of fabric. And, size options of original or mini. This comfortable bed swing can fit into any decor style you choose. 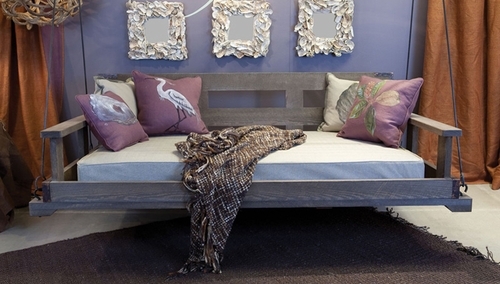 Our Swinging Daybed is an ideal accompaniment to a guest bedroom, a child’s room or enclosed porch. Let your imagination run wild with design by incorporating beautiful pillow and the mattress of your choice. Consider this your invitation to slow down, relax and watch life from the comfort of your porch. 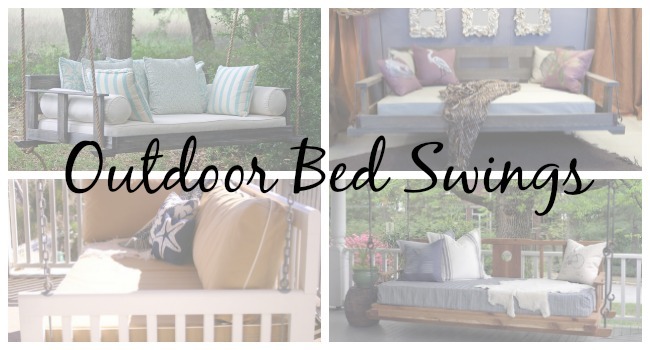 Your biggest challenge should only be deciding which outdoor bed swing to choose!